Looking for the perfect trip over Going-to-the-Sun Road? Use this driving guide to find all the right stops and the order in which you should stop for the best photos and a parking spot at Logan Pass so that you don't miss a thing! Dress up your office or gear room with Glacier National Park! 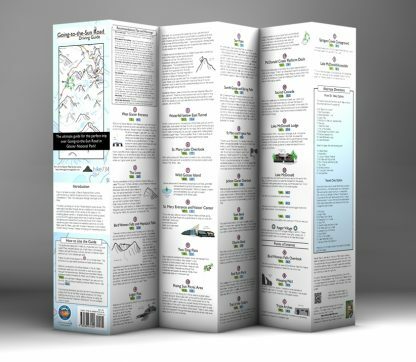 This handsome poster features Jake's topo map and list of day hikes. 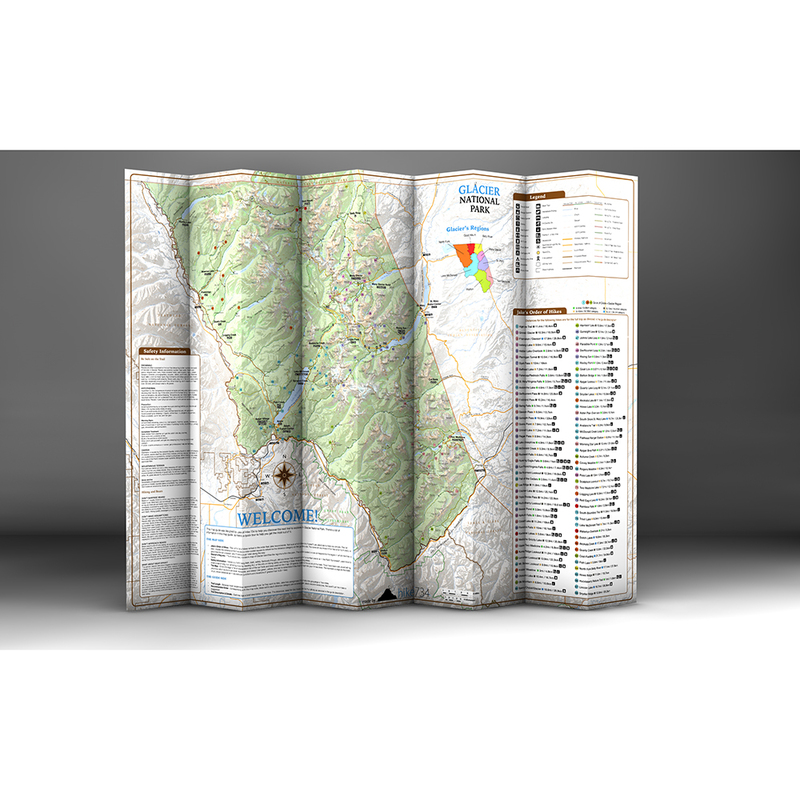 Frame it up for a finished look or pin it up and use it as a day hikes checklist. Printed on stiff 80# cover paper stock, it will hang easily on your wall. Makes a great gift to any Glacier lover... including yourself! Hear the story of Hike 734. See how Jake arrived at the doorstep of the project, all the way to completion. This DVD explores what it's like to accomplish a big goal with amazing stories, stunning videos, beautiful pictures and a few jokes along the way. 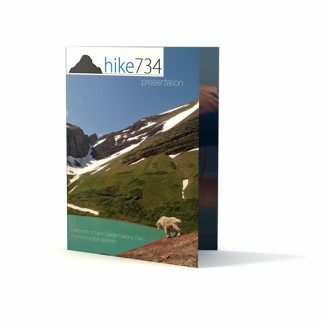 Presentation DVD – Jake recounts his 2011 adventure to become the first person to hike all 734 miles of trail in one season through pictures, video, and fun stories. 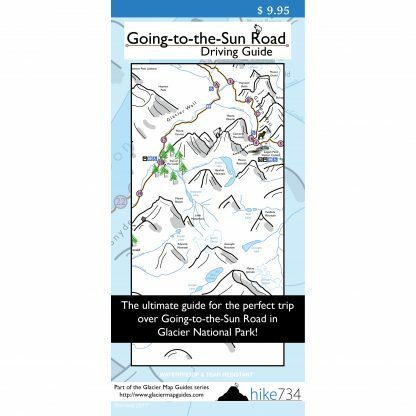 Driving Guide for Going-to-the-Sun Road – This map and guide takes you along Going-to-the-Sun Road as if Jake was in the seat next to you. Get better photographs, a parking spot at Logan Pass and don’t miss any of the sweet spots! 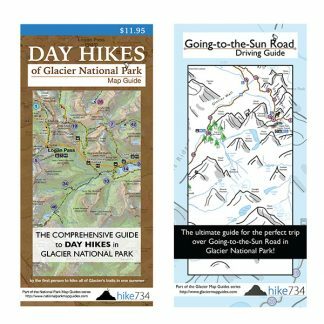 Day Hikes of Glacier National Park – This map and guide features a wonderful topographical map of Glacier perfectly paired with 88 day hikes, personally ranked by Jake so that you can find the right hike for your group. 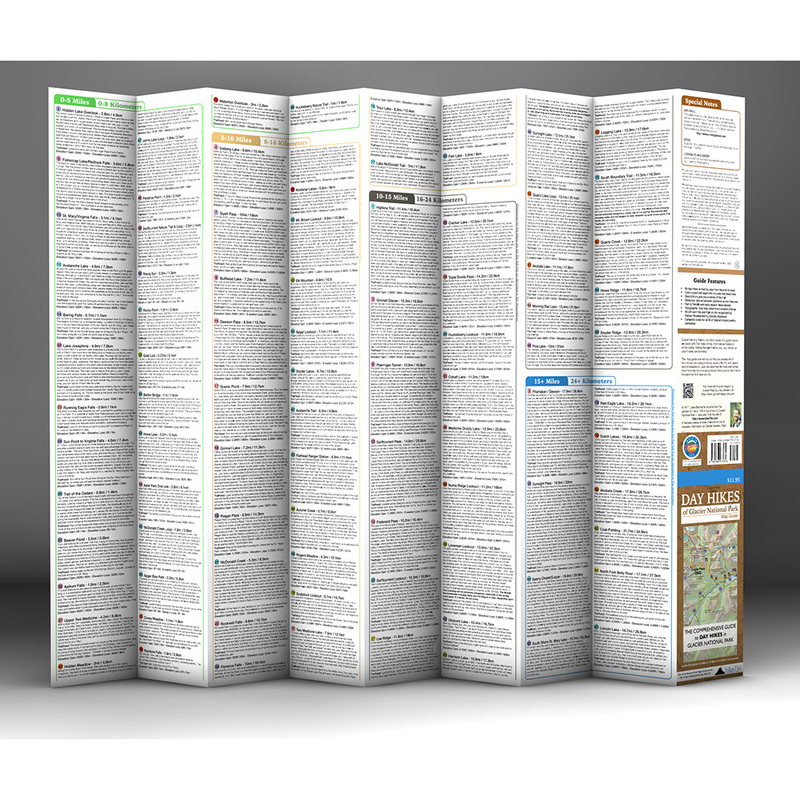 Full descriptions on the back are broken down by distances to quickly and accurately identify where you should explore. 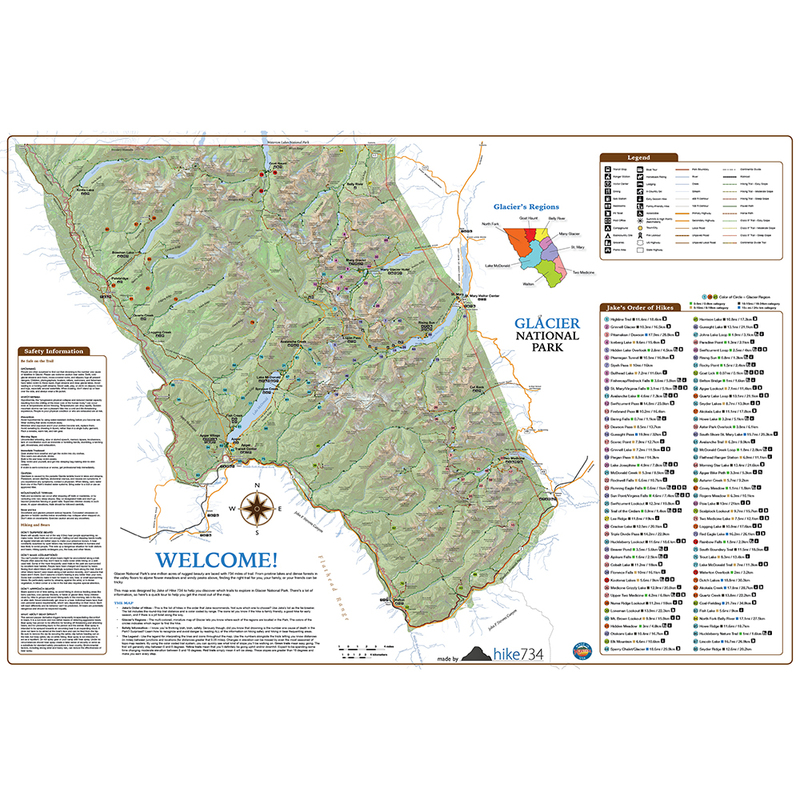 Glacier Wall Map – Day Hikes Edition – Printed on heavier stock paper, this is a slightly modified version of the map found in the Day Hikes Guide that is perfect for hanging in a gear room or framing for hanging in an office. 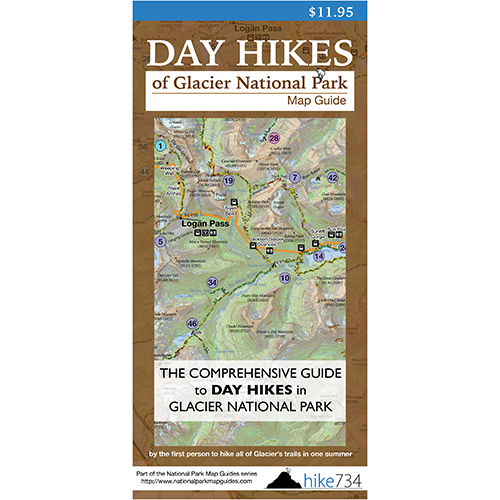 Day Hikes of Glacier National Park Map Guide – Excellent! Awesome! 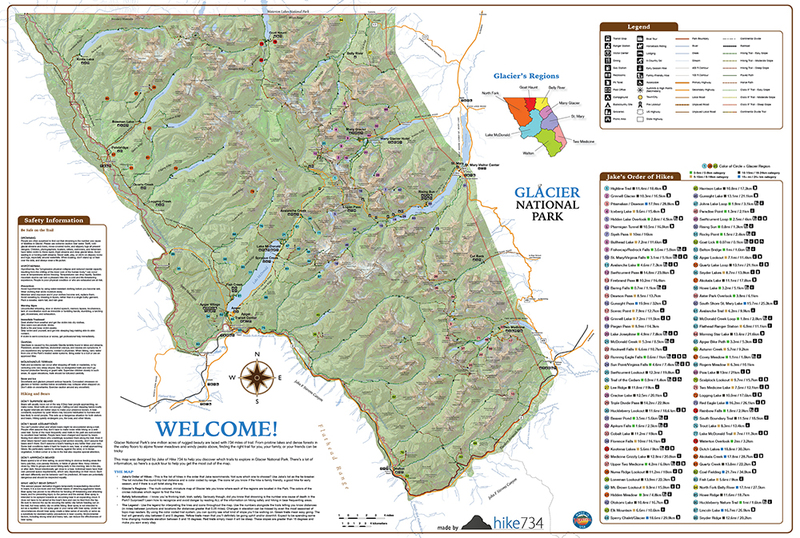 Best Map available for planning hikes in Glacier National Park (GNP). My wife and I used this map during our five week visit to GNP last summer and recommended it to everyone who asked us about hikes. There is not a better map available for planning hikes in GNP. So far we have found the map to be very accurate. 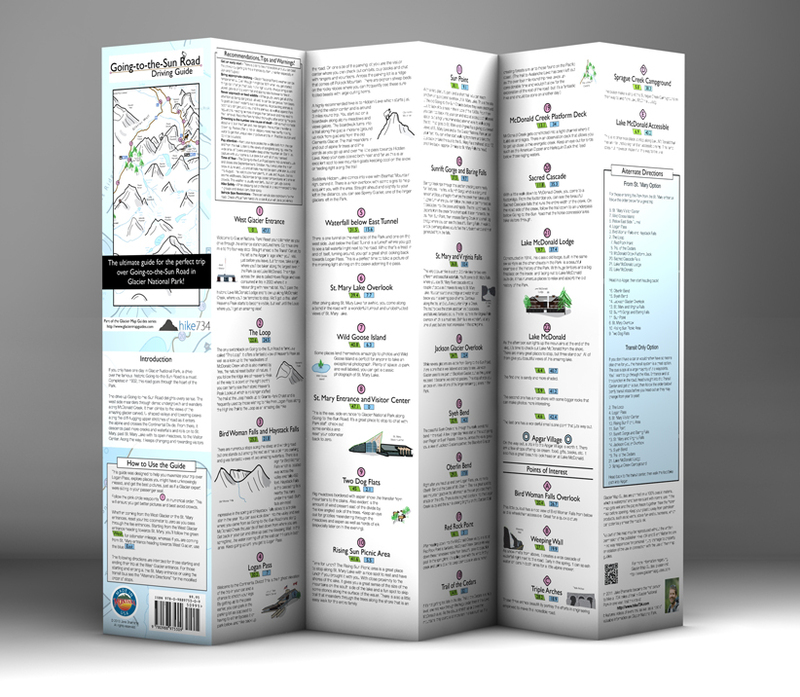 The information on elevation gain/loss and trail length is invaluable. 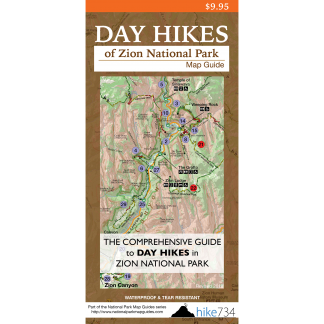 The descriptive information about each hike is very informative. Seven, yes seven, Stars. Going to the Sun Driving Guide – This map is useful for finding specific points of interest along the Going to the Sun Road. 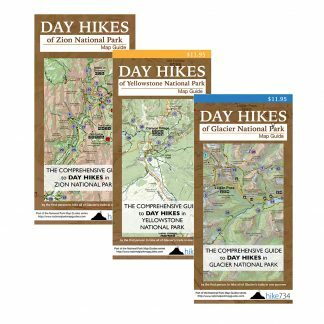 The guide is also useful in finding trailheads or jumping off points along the road when used in conjunction with Jake’s Day hike map. The write-up on each point of interest provides interesting background information. Five Stars. Wall Map – Glacier National Park Day Hikes – I reviewed this wall map separately and my wife and I have framed a copy and placed it on the wall for GNP hike planning. 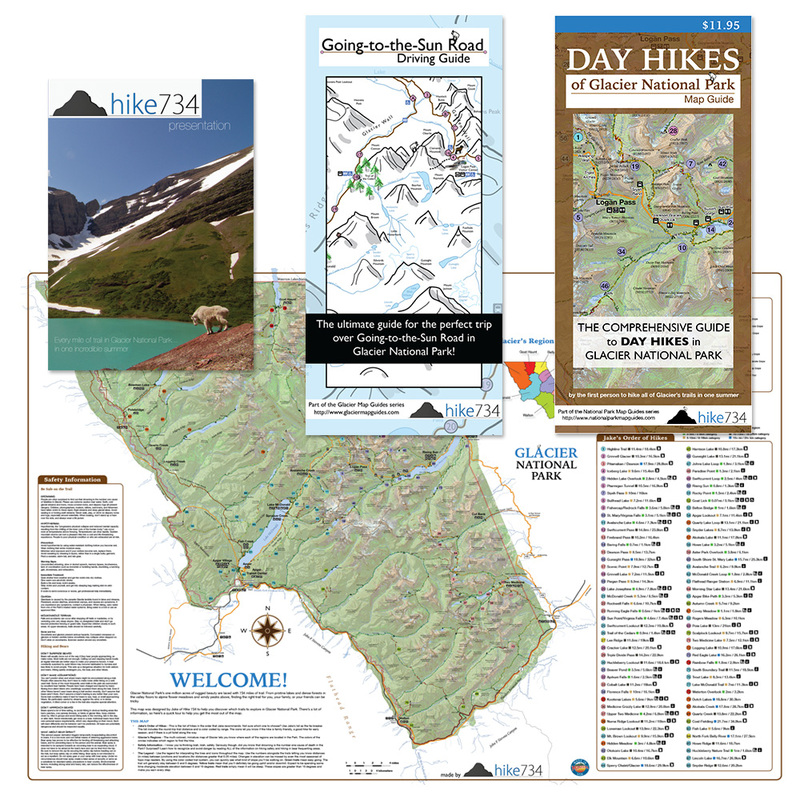 We use the wall map in conjunction with Jake’s Day Hike map descriptions and other relevant materials when planning our hikes. Five Stars. 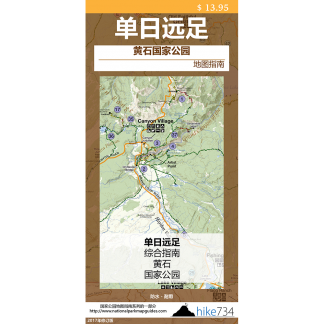 Hike 734 Presentation DVD – A very interesting and informative DVD about GNP. Jake talks about his first hand experience hiking all 734 plus miles in one year. The DVD serves as an introduction to GNP and Jake could probably put together additional DVDs from his first hand experience. The DVD also provides interesting information on some of the flora and fauna of GNP. Five Stars. 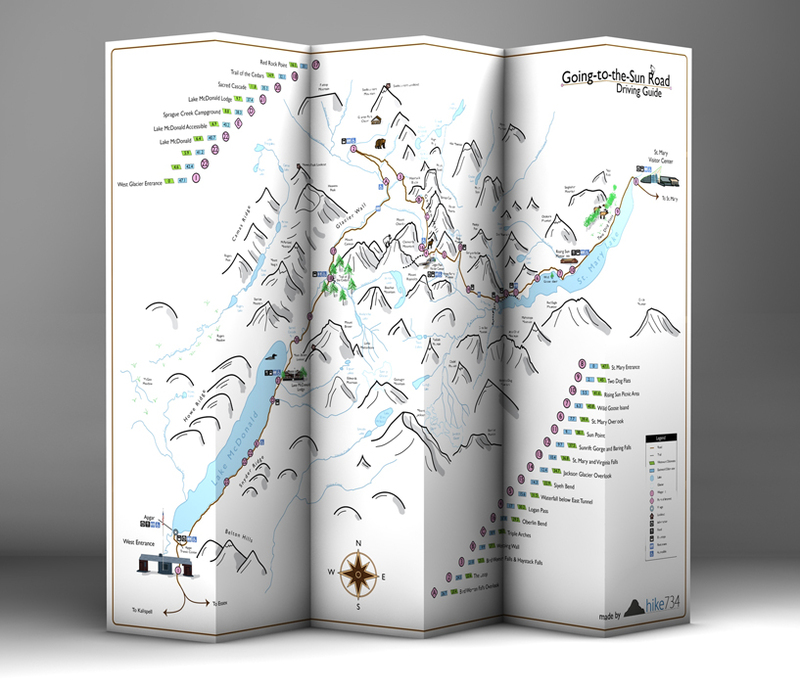 The Glacier Package exceeded my expectations and I am looking forward to visiting the park! !